Where were you during the summer of 1966? I was looking forward to my junior year in college and was in the early stages of my obsession with alpine skiing. Even though it was summer, I was looking forward to winter. In early August I was surprised to turn on the TV and see coverage of a ski race. It was not just any ski race either, but part of the FIS World Championships. How could that be? That “could be” because the World Championships of 1966 were held in Portillo, Chile. Chile is in the southern hemisphere where summer is winter and winter is summer. Or actually, their winter is our summer hence skiing in August. Those 1966 World Championships were the first, and remain the only, international-level ski races held in the southern hemisphere. The first correct answer for last week’s trivia question came all the way from Saint Augustine, Florida. 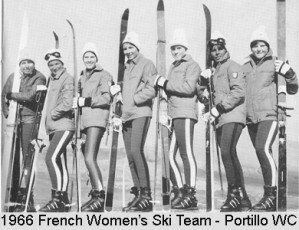 Long-time friend Pat Ostrowski identified Portillo as the site of the 1966 World Championships. Pat didn’t start skiing until after 1966 when he moved to Vermont, but he associated the Portillo races with the emergence of Jean Claude Killy and the French ski team. Parker Riehle, President of Ski Vermont, also had the right answer. He has a U.S. 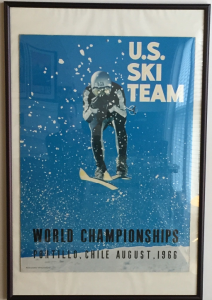 Ski Team Poster from Portillo 1966 hanging in his office and sent along a picture of that poster. A great trivia question would be who is featured in that poster, but I’m not sure I know the correct answer. Portillo is the oldest ski area in South America tracing its roots way back to the late 1800s. Much like the United States, skiing’s popularity grew in Chile during the 1930s. World War II interrupted that growth, but it resumed after the war as skiing entered the lift-served era. By 1960 the Chilean government was running Portillo and it was losing money. 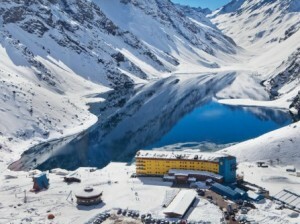 Chile offered the hotel and ski area to the highest bidder. The story goes that American financier Bob Purcell put in a bid on sort of a whim. His bid turned out to be the only bid so he was suddenly in the skiing business. Bob Purcell would recruit his 26-year-old nephew Henry Purcell to run Portillo. Henry was a graduate of the Cornell School of Hotel Administration and had been working for the Hilton hotel chain. 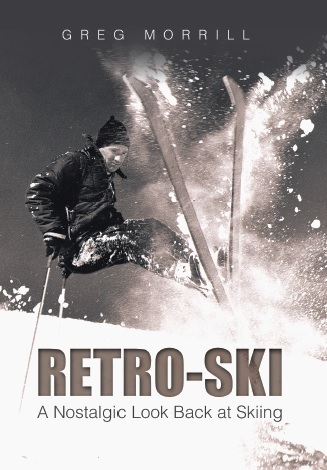 He took over the reins of the Portillo hotel and skiing operation in 1961. Early in his tenure at Portillo, Henry Purcell realized he needed to host an international event to bring attention and business to his part of the skiing world. He lobbied the FIS heavily and eventually landed the 1966 World Championships. 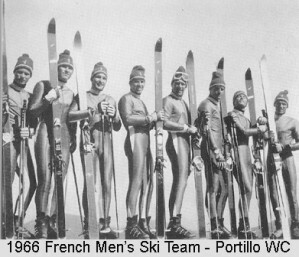 However the FIS wanted Portillo to host a pre-event in 1965 to demonstrate their ability to handle a World Championship. That event was a disaster in the truest sense of the word. A Pacific typhoon hit, dumping tons of snow. Avalanches literally wiped out whole ski lifts and stranded would-be competitors for days. 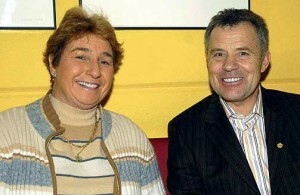 Despite that less-than-successful test, Purcell convinced the FIS to stick with Portillo for the following year. During that year they would redesign and rebuild the Portillo lift structure. You may notice that I said Marielle Goitschel “eventually” won the Downhill. I think it wasn’t until the 1980s that the victory was given to Goitschel. If you found a results sheet from 1966, it would say that Austrian Erika Schinegger won the women’s downhill. So what happened to Erika? The 1968 Olympics required gender testing for eligibility. That testing discovered that Erika medically was a man not a woman! Erika would undergo hormone treatments and surgery to become Erik Schinegger. Erik would go on to race as a man, but without the same level of success. He became a father of two and is a successful restauranteur in his hometown of Agsdorf, Austria. I remember sitting in the swimming pool at Portillo next to “Erika” Shinegger and “feeling” that something wasn’t totally right. A few years latter we found out “she” was a man. Oddly enough, “Erika” herself did not know “she” was a man, although she knew something wasn’t right either. Later she/he wrote a book titled “The man who became women’s World Champion” in which he explains the weird circumstances that led to the confusion. Interesting read! (by the way, I was the youngest member of the Argentine WC team at Portillo – my first big international competition). Thanks so much for sharing who the skier is on the Poster. I just recently moved to Taos New Mexico and during that process, found this poster that I have had since I was a kid growing up in New England. I saved it all those years and it had been taped to walls so many times, that old masking tape was still on the edges. I recently had it framed and it is now in my office at Taos Ski Valley. I have had so many people ask me who the skier is that it is great to find out. I lived in Mammoth from 79-83 and Poncho was a legend. There was a story of him strapping himself on-top of a station wagon with his skis and boots and having his friend drive as fast as they could while he perfected his tuck. I love that story and now it is great to see him in the air everyday at my office.